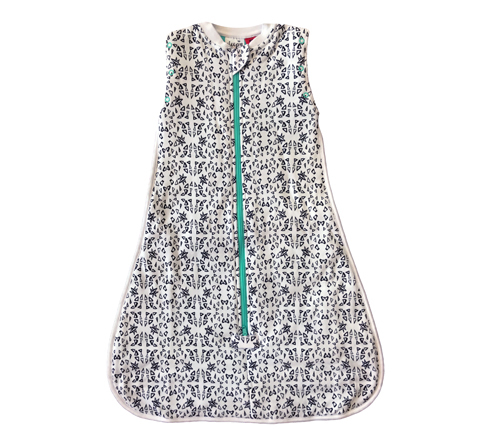 Sleepy Bub’s Organic Sleeping bag has been cleverly designed to keep your baby warm at night by going over the top of the Sleepy Bub swaddle or simply worn on it’s own. 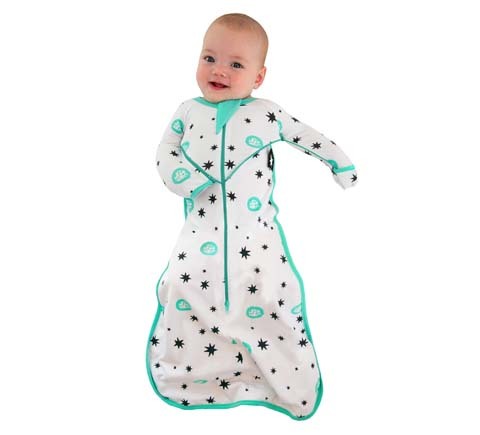 Ideal for cold winter nights to keep your baby warm and snug. The arm holes can close or open for when your baby transitions from being swaddled to sleeping with arms free. The arm holes are also adjustable in size for the perfect fit. TOG rating is a thermal rating used to help you choose a safe and comfortable alternative for your baby allowing you to create the ideal sleeping temperature for your little ones. This 2.5+ TOG sleeping bag is recommended for colder climates where the temperature falls below 20 degrees celsius.